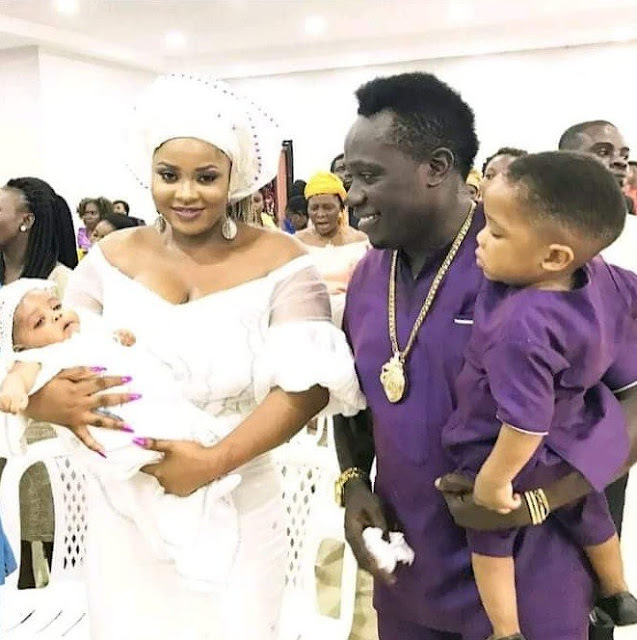 Duncan mighty has just been accused of allegedly beating up his wife, until she was badly bruised in the eye. 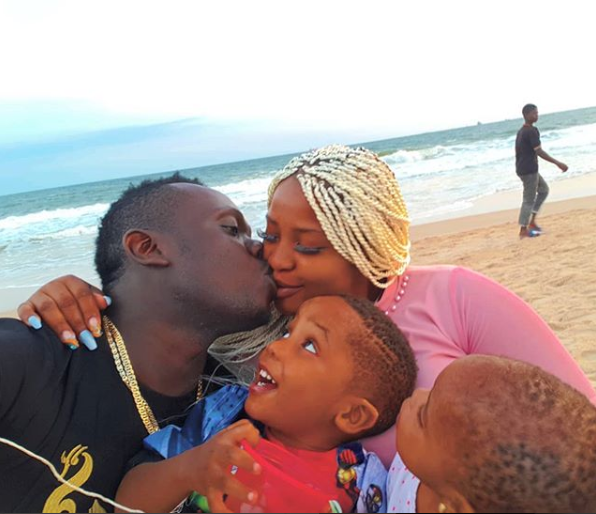 According to multiple reports, Duncan Mighty beat up his wife brutally. According to social media reports, some classmates to his wife, Vivien, they claim this isn’t the first case of abuse by the singer. The latest attack happened on Saturday, shortly after the singer finished a video shoot with Davido, in Port Harcourt, Rivers State, on Saturday. 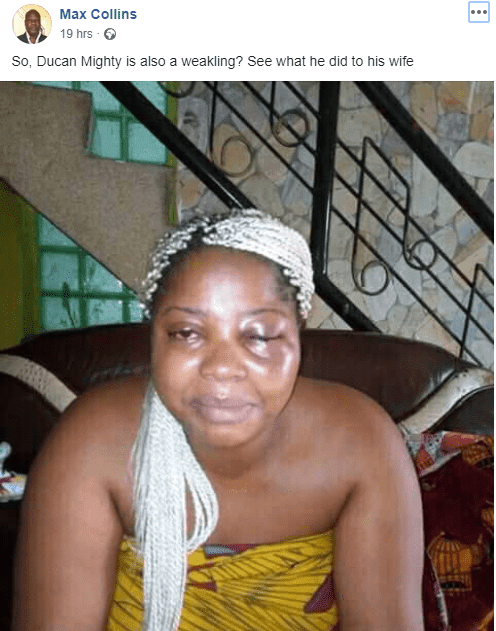 They cause of the attack was not stated, but a close friend to Vivien, identified as Pella, claimed Duncan just flew down to Lagos, shortly after beating up his wife and hasn’t shown any sign of remorse. He was said to have called Vivien, this morning, to tell her that she shouldn’t have shared the picture of her face with her friends, as it can dent his image. Another social media user, Max collins, shared a photo of his wife’s battered face 19 hours ago, before this report. Oh my God.. This can't be true imagine her face !!! What!! This is serious.. But why na!